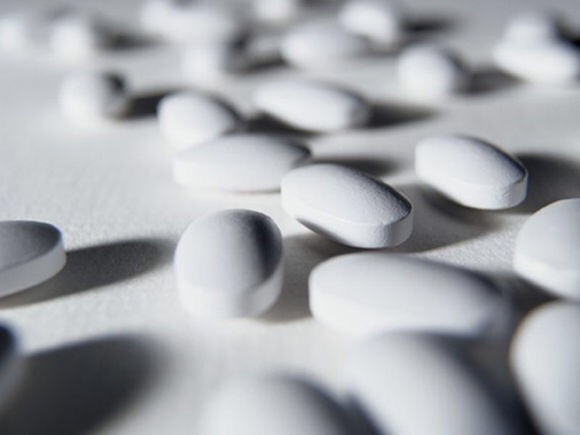 Calcium supplements have been linked to heart attacks according to a new study published in the British Medical Journal last year. Researchers found a 24-27% increased risk of heart attacks for those who took 500 mg of elemental calcium a day. Americans consume an enormous amount of calcium already from cow’s milk and its products per person than most populations in the world. There are many women who were told by their physicians to take calcium supplements for stronger bones. We have the highest rates of heart disease and osteoporosis (bone disease) now. Another study highlights the issues American women aged fifty and older face from consuming calcium from dairy and supplements. These women have one of the highest rates of hip fractures in the world. For example, in countries such as India, Japan, and Peru where average daily calcium intake is as low as 300 milligrams per day (less than a third of the U.S. recommendation for adults, ages 19 to 50), the incidence of bone fractures is quite low. Shouldn’t it be the opposite? “Drink milk for calcium and strong bones”, they say. But why are we still suffering from bone lose, fractures, and now calcium supplements linked to heart attacks? The United States Department of Agricultural (USDA) actively promotes dairy products — it administers the National Milk Processor Board that gave us the ubiquitous “Got milk?” media campaign. I don’t know not one person who doesn’t know that stupid slogan. Really!! Get this! Did you know that consuming animal products also decreases bone health and causes excess metabolic acid load in the body? (I’ll link the studies for these below.) Animal products causes our bodies to be more acidic. A more acidic body leads to diseases/toxicity/inflammation. Now according to The China Study, the body does not like this acidic environment, so in turn, our bodies fight it. In order for the body to neutralize the acid, the body secretes calcium from our bones, and then calcium loss weakens the bones, thus causing the greater risk for fractures. There’s no win-win situation here. The higher the consumption of animal products, including dairy and meat, may lead to an acid overload and weakened bones. I DO NOT recommend taking calcium supplements or eating dairy for calcium. However, I do believe consuming a whole food plant-based diet is the best option. A whole-food, plant-based diet is centered on whole, unrefined, or minimally refined plants. It’s a diet based on fruits, vegetables, tubers, whole grains, and legumes; and it excludes meat (including chicken and fish), dairy products, and eggs, as well as highly refined foods like bleached flour, refined sugar, and oil. Foods like green leafy vegetables, including spring greens, cabbage, watercress, kale, broccoli and parsley are excellent sources of natural calcium. Then there’s oranges, beans/legumes, nuts and seeds. These foods are also filled with vital vitamins and minerals our bodies depend on for healthy bones, teeth and strong muscles. The plant-based diet is healthier and better for our bodies to digest and absorb nutrients. To learn more about adapting a whole food plant-based diet visit Nutrition Studies website. Study: The effect of dietary sulfur-containing amino acids on calcium excretion. Study: The dietary protein, Insulin-like growth factor I (IGF-I), skeletal health axis. Study: Estimation of net endogenous noncarbonic acid production in humans from diet potassium and protein contents. low vitamin D means you can’t fully metabolize the calcium regardless of how much you intake. The root cause is probably low Vit D intake rather than the calcium itself. VitaminD is vital for calcium absorption. The two goes hand in hand. Many people are deficient in D.